If you’ve been holding out for your favorite streaming services to hitch their wagons together so you only have to pay one monthly fee to watch and listen to everything you want on-demand, then you're in for some good news. Spotify and Hulu just teamed up to launch a joint entertainment streaming bundle that gets you access to premium versions of both services for only $5 a month. The catch? The deal is only available to college students. For now. 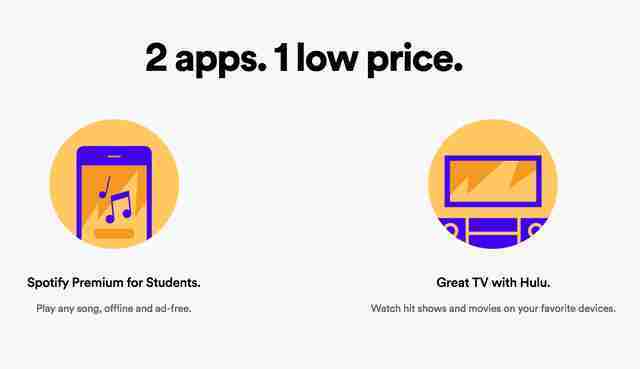 The two streaming services announced the discounted subscription bundle, "Spotify Premium for Students, now with Hulu," on Thursday, marking the first-ever partnership between the companies. It provides access to the commercial-free premium version of Spotify and the paid "Limited Commercials" version of Hulu for a fraction of what it would cost to subscribe to both of them separately (plans would cost $9.99 and $7.99 per month, respectively). And while this bundle is available exclusively to students right now, both companies hinted it may just the beginning of a broader rollout. The somewhat surprising partnership appears to make strategic sense for both brands. Spotify, for one, has made several unsuccessful attempts to integrate its own original video content into the platform. But, by teaming up with Hulu and providing access to everything it offers (award-winning original shows, entire cable and network series, a rotating catalog of feature films, etc.) 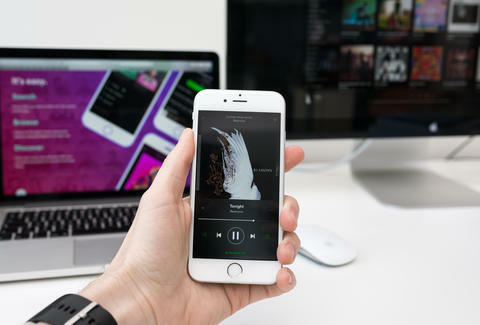 for the same $4.99 monthly price it was charging for its Premium Spotify-student plan, the company is able to integrate video while redoubling its efforts on building the best on-demand music streaming service. Additionally, it gives Hulu an opportunity to hook even more customers on its premium paid version. The end game, after all, is for both services to get coeds so hooked that they'll be willing to pony up regular prices once they graduate and age out of the discount. To get in on the action at the moment you'll need to be enrolled as an undergrad at any accredited college or university, and sign up here. Otherwise, hold tight -- there may soon be a flashy new Hulu/Spotify combo deal teasing the rest of our wallets.